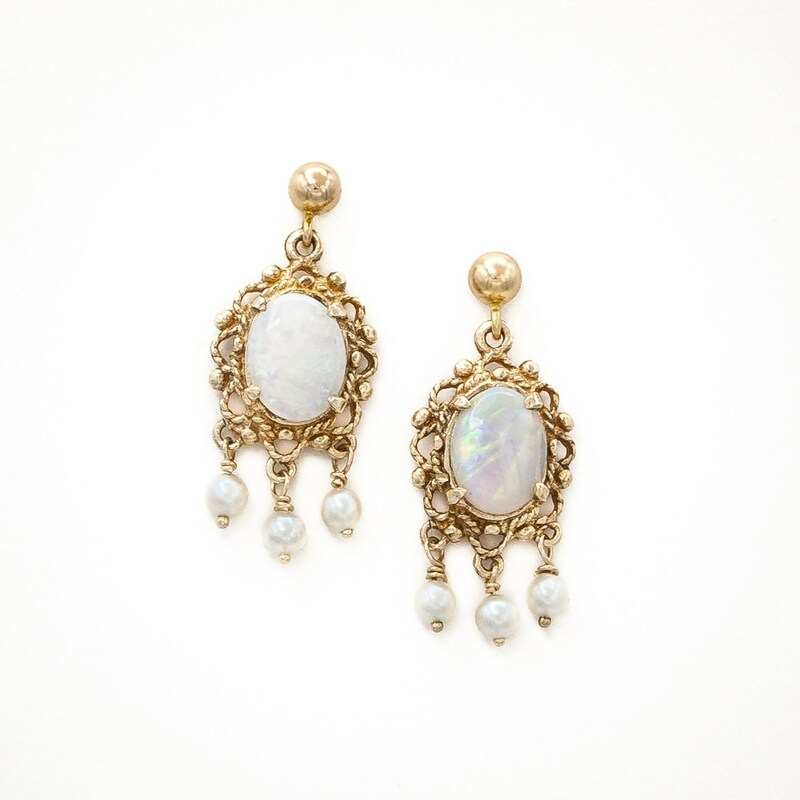 Opulent 14K yellow gold estate pendant earrings with oval Fiery Opals and lovely Akoya Cultured Pearls. Circa 1960. These 14K yellow gold earrings are Victorian in look, although they were most probably made in New York City in the early 1960s. Each earring is set with a beautiful and exceptionally fiery oval natural Australian Opal. The two Opals have a total eight of 157/100 carats. The filigree section which is set with the Opal is suspended from a yellow gold bead which has a push back post behind it. Should you prefer a different style these can be easily converted to a lever back for pierced ears, or a clip back for non-pieced ears. Send us a message for a custom request. 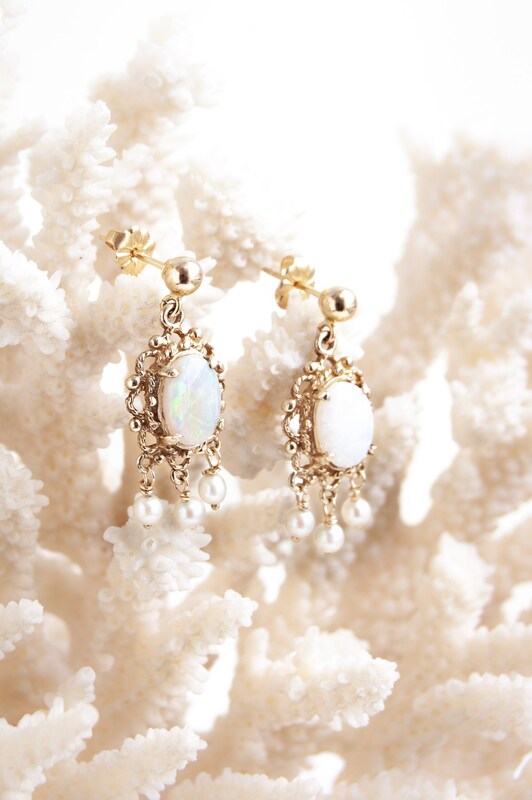 Each earring has three fine matched Akoya Japanese saltwater pearls suspended at the bottom. Each pearl measures 3.25 millimeters.